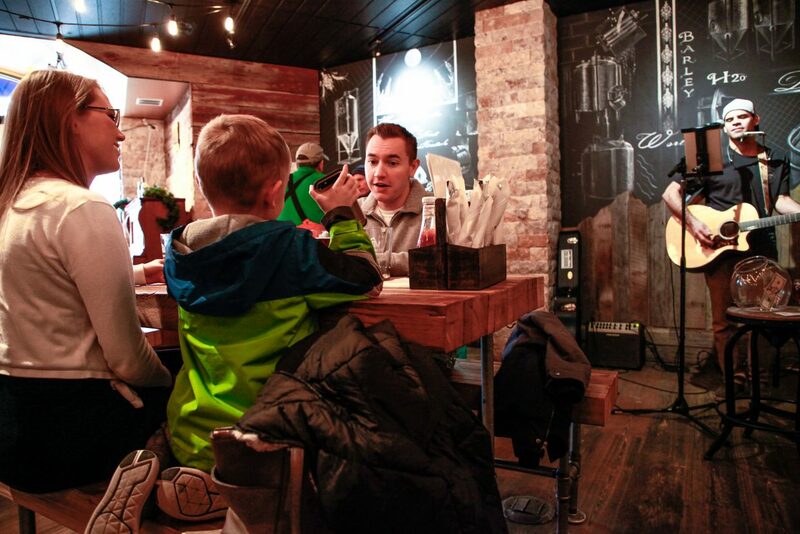 Vin VanGegrift shows Val what he looks like on a Snapchat filter while Jamie of Parker, Colo., looks like while Matt Garth plays apres at Vail Brewing Company tasting room on Friday, Feb. 23, in Vail. The tasting room is serving food by Bol. 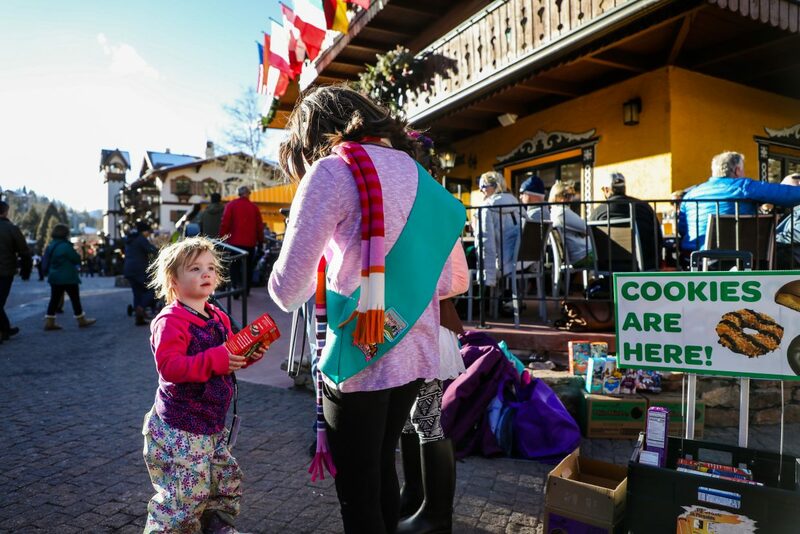 Larkin Pauls, 3, of West Vail buys a box of Tagalongs Girl Scout Cookies from Sofia, 9, and Alexa 7, Martinez on Sunday, Feb. 18, in Vail Village. Girl Scouts will be out today, Monday, Feb. 19, in the village selling cookies. 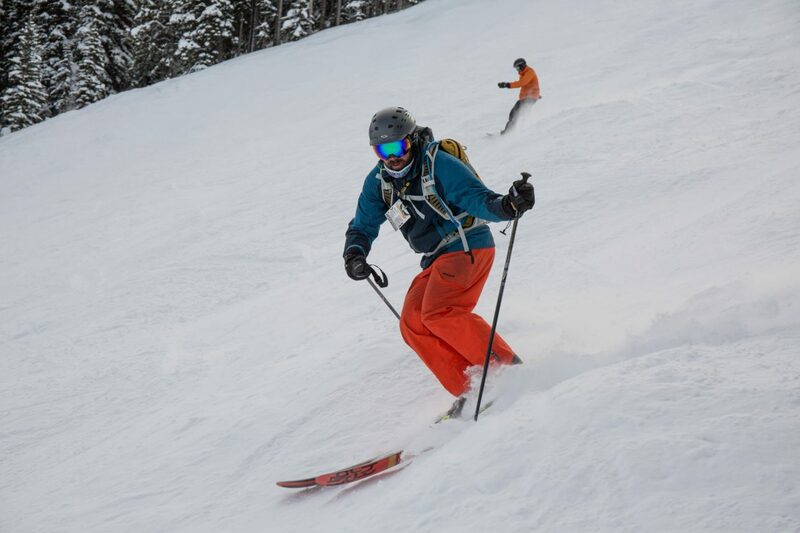 Talons challengers head down the mountain to complete 14 black and double black runs totalling over 26,000 feet on Saturday at Beaver Creek. 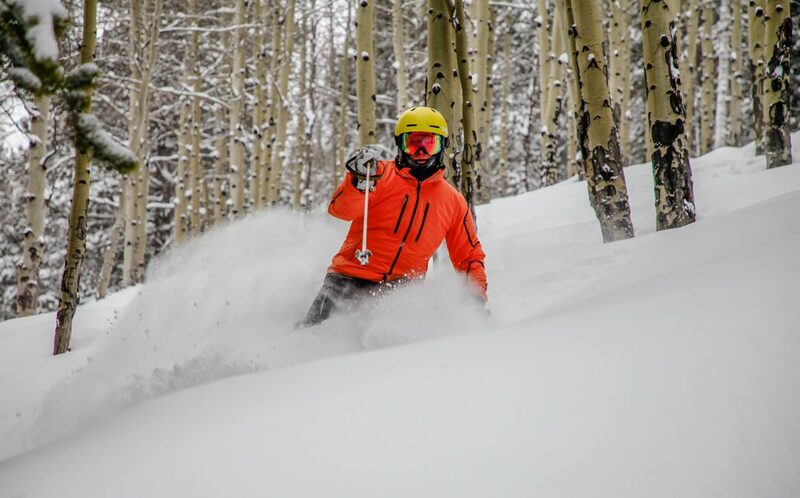 Jim Liken gets fresh in Royal Elk Glade on Tuesday, Feb. 20, in Beaver Creek. More snow is forecasted through the weekend. 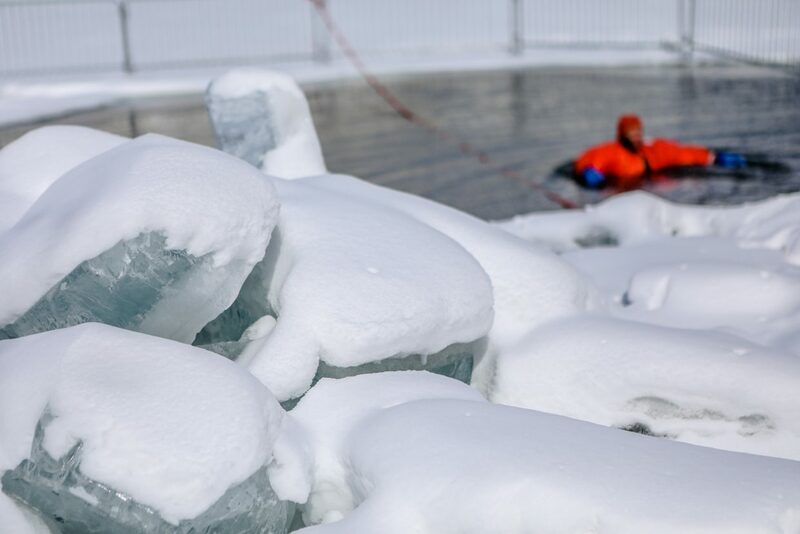 Cold Water Rescue divers "relax" in Nottingham Lake before the Polar Plunge on Saturday, Feb. 24, in Avon. 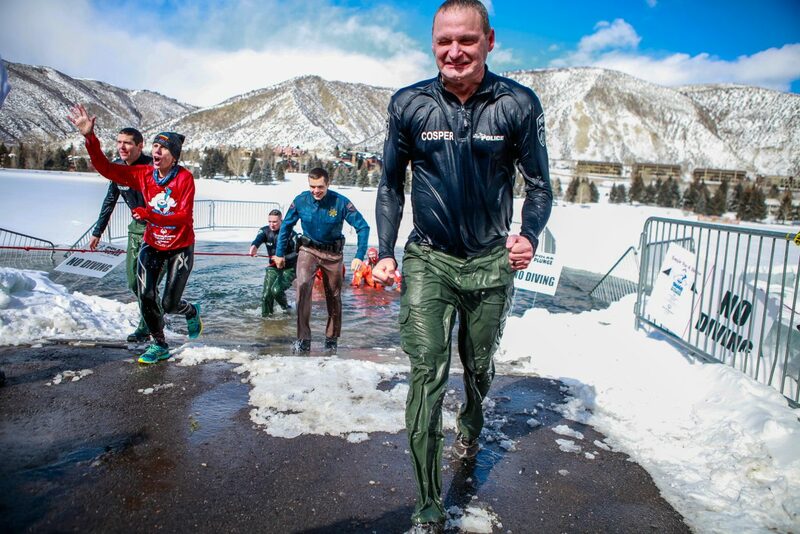 Deputy Chief of Police, Coby Cosper puckers after doing the Polar Plunge benefiting the Special Olympics of Colorado on Saturday, Feb. 24, in Avon. The water temperature measured a mere 12.9 degrees Fahrenheit. 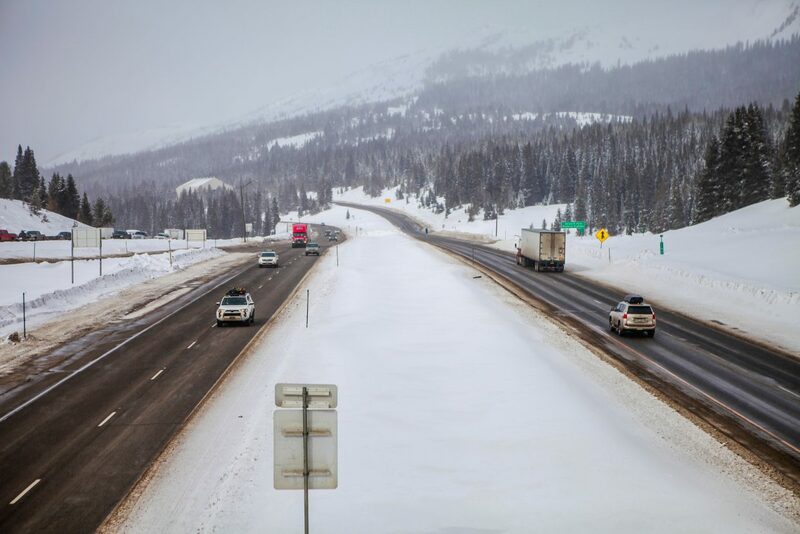 Traffic makes its way atop of Vail Pass on Saturday, Feb. 24, in Eagle County. 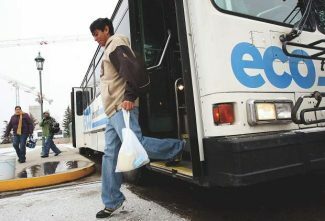 Traffic studies on what the future of the pass is west of the summit. Team "Royal Family," Kyle Redeker, Jenny Hill and Jordan Knowles take the Polar Plunge for Special Olympics on Saturday, Feb. 24, in Avon. The water temperature was below 13 degrees, the coldest for a plunge in the state. 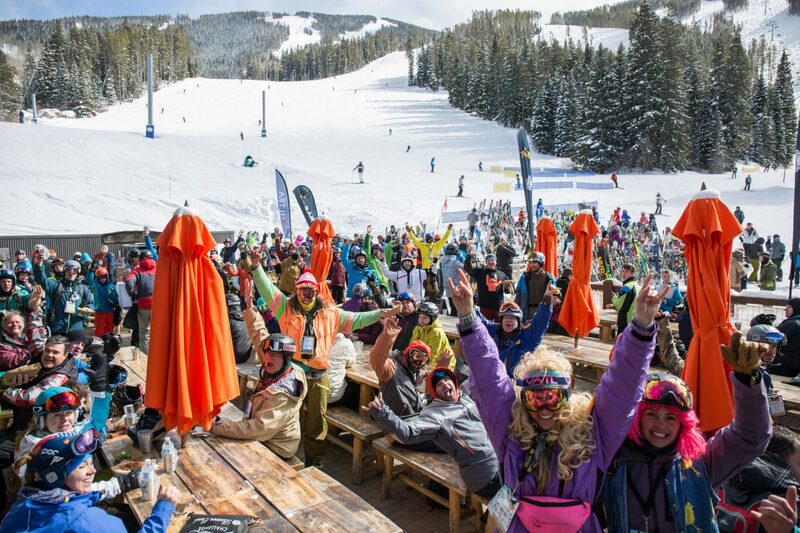 Talons challengers celebrate finishing the Tallons Challenge at Beaver Creek, Saturday. 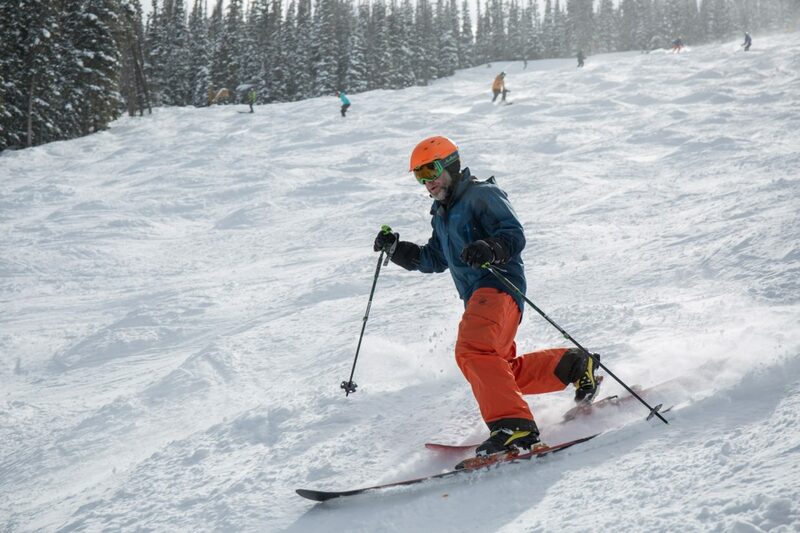 The challenge consists of 14 black and double black diamond runs, totalling over 26,000 vertical feet. 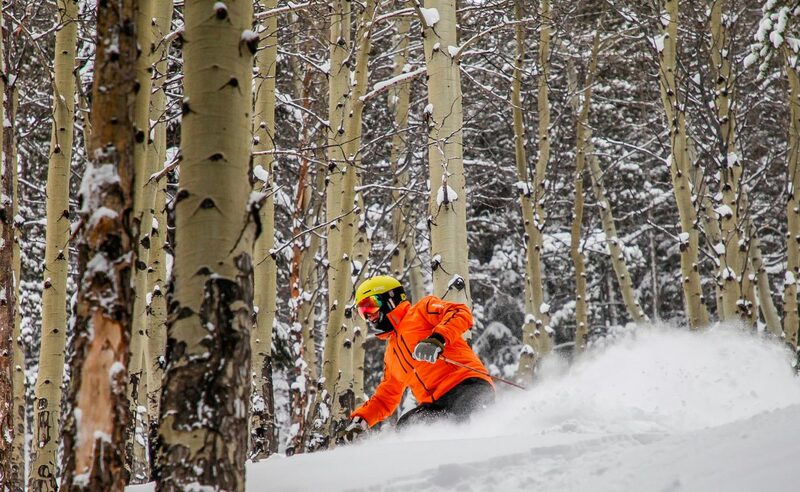 Jim Liken gets fresh in Royal Elk Glade on Tuesday, Feb. 20, in Beaver Creek. 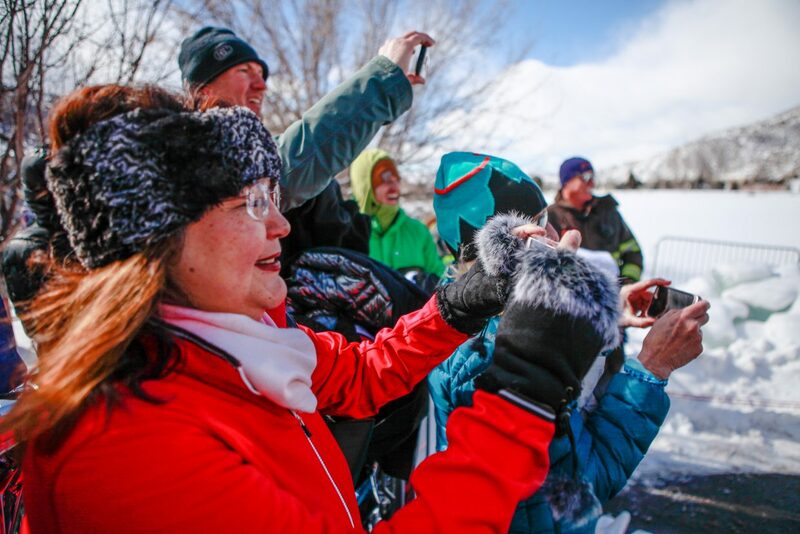 People take pictures as people plunge into the icy waters of Nottingham Lake for the Polar Plunge benefiting the Special Olympics Colorado on Saturday, Feb. 24, in Avon. Wind and cold made for an icy experience. 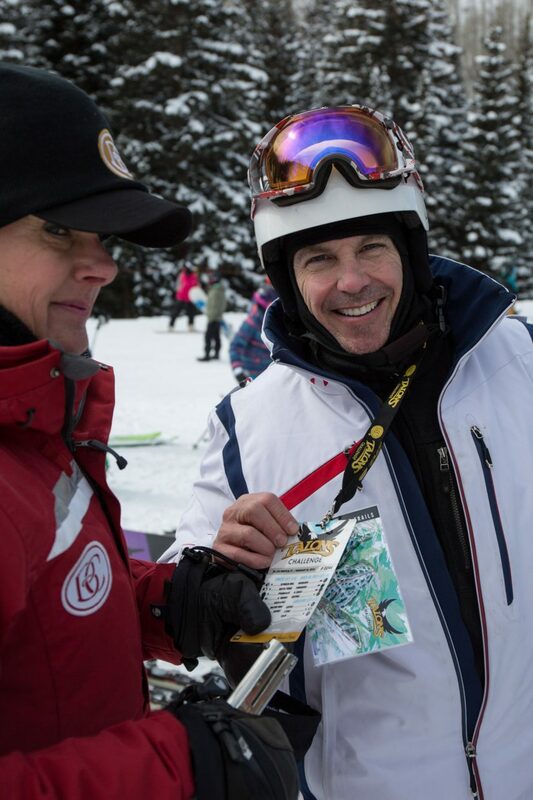 Rich Liberante from Scottsdale Arizona gets his credentials punched after finishing the Talons Challenge, skiing 14 black and double black runs at Beaver Creek, Saturday. 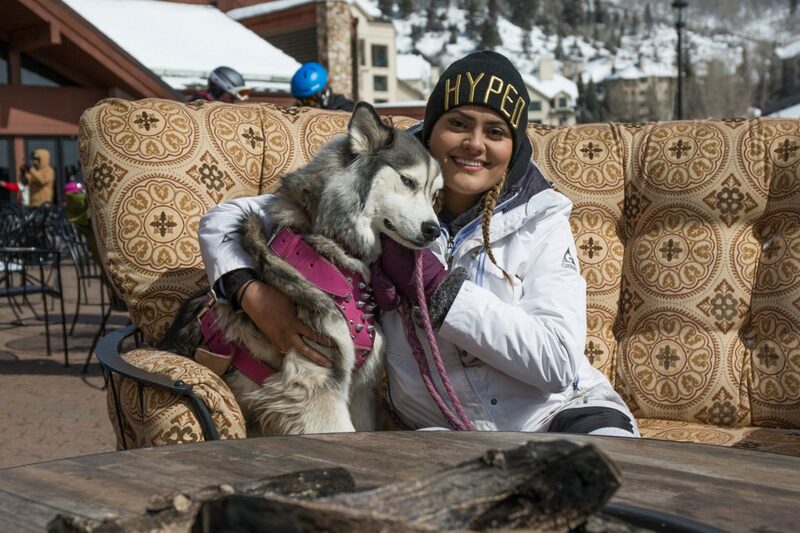 Shanaj Grewal and her dog Shasta enjoy a bit of sunshine at the base of Beaver Creek Saturday. 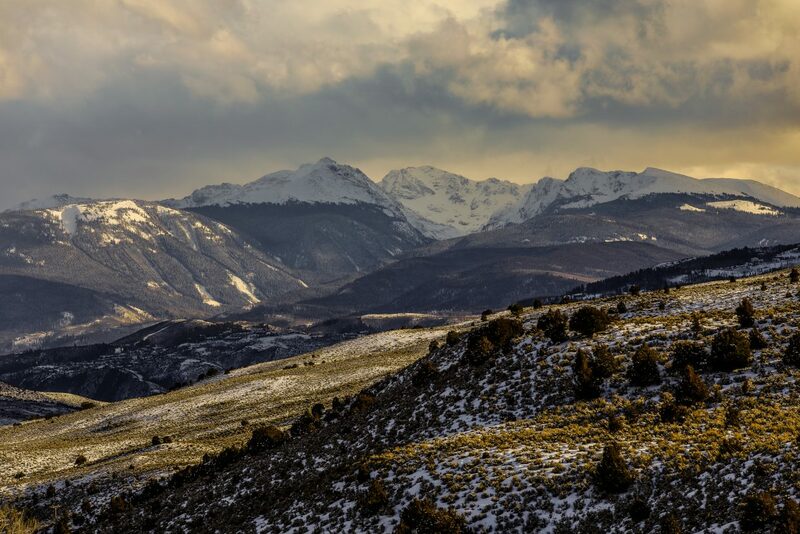 Sunlight peaks through the clouds over New York Mountain and the Sawatch Range on Thursday, Feb. 22, near Bond. A series of storms are forecasted through this weekend, with the potential to drop up to a foot and a half by the end of the weekend. 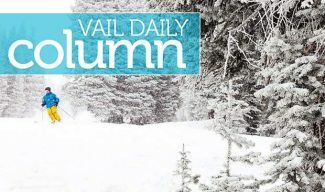 The Vail Valley received some snow, making for some fun skiing after an overall dry winter. Girls Scouts are out and about selling the famous cookies. 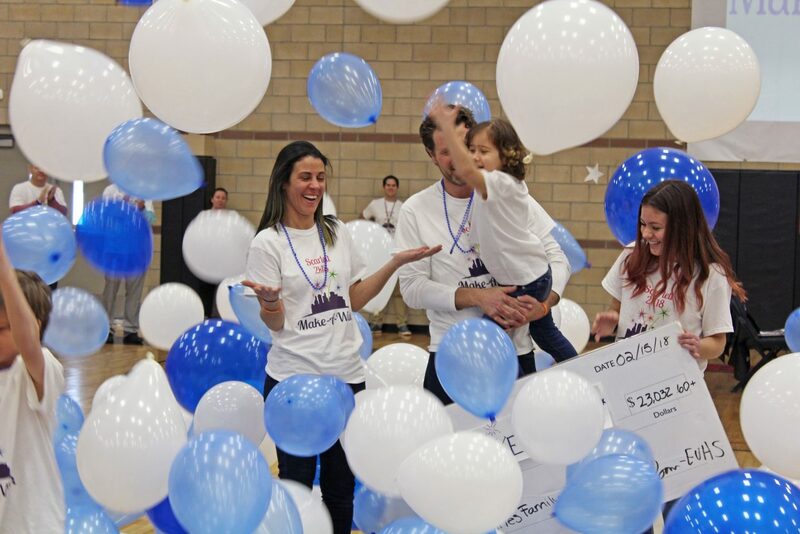 Avon held its second-annual Polar Plunge benefiting Special Olympics in Nottingham Lake. 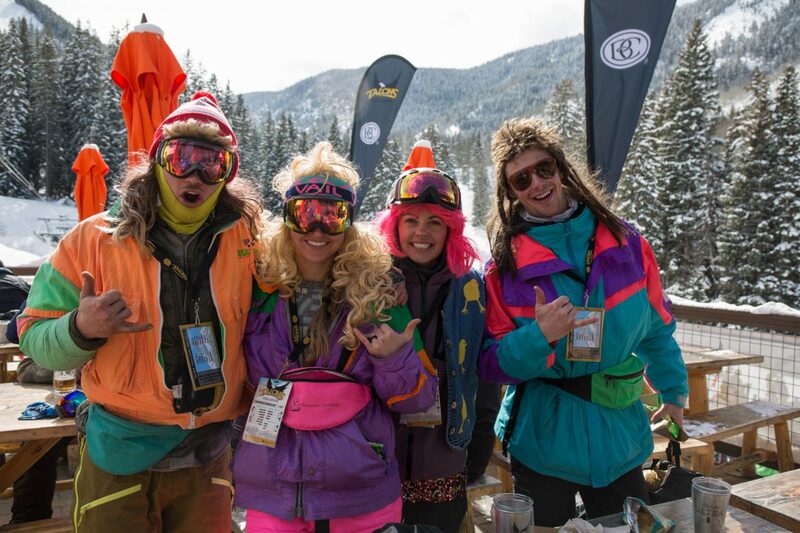 The Talons Challenge also took place at weekend at Beaver Creek.